Suprakash Adhikari, Chief Engineer, NHPC: Nimoo-Bazgo Power Station has an installed capacity of 45 MW (3 X 15MW). The design energy of power station is 239.33 MU yearly. From the year 2013, the project has been supplying power to the Leh district round the clock. The major portion of the district is covered by the station but due to non-connectivity of the distribution system, Leh district has some areas which are still uncovered. Our sole responsibility is to generate electricity, harness power and further selling it to PDD but the distribution of the power depends on the concerned department. The power station agreement is signed between the J&K Government and PDD and they are the sole purchaser of the power. If we talk about the demand for power in Leh district we don’t have much demand. The highest demand reached recently to 24.5 MW for the first time. Since it is not connected to the outside grid, the remaining capacity is left ideal. A 220 KV Transmission line is being constructed by the Power Grid which will be connected from Srinagar to Leh and with this, the full capacity power will be generated by the station. The transmission line project is being executed by Power Grid Corporation of India Limited (PGCIL) and subsequently will be transferred to J&K Government after a MoU to this effect is signed between State PDD and PGCIL. The 220 KV transmission line has been planned to improve the reliability of power supply through interconnection with the Northern Grid. This will definitely meet the requirement of the district but along with it, the surplus power can be sold to the other required agencies. The power station is definitely depended on the inflow of Indus water. During the peak season (summer) there is no water inflow issue thus power is supplied without any curtailment but yes, during the winter season there is a challenge. In the winter months, when the river freezes the water supply gets reduced because of which we are bound to do some curtailment in power generation. Power curtailment is done in consultation with district administration and PDD department. The curtailment of power is managed and decided as per the demand and requirement so that people suffer less with power cuts. Thus, in winter’s power is mainly curtailed during the midnight and daytime because during these times the usage is not so much. Hydel generated power is safe, environment-friendly, sustainable and cheaper also in long run, as compared to the thermal and other sources of energy. The lifespan of any hydel project is more; it can run more than 50 years without any issues. The rate/unit is decided by the Central Electricity Regulatory Commission (CERC) which has to be abided by both the PDD and NHPC. Every 5 years, the rates are re-affixed and the new tariff is decided. Talking about the future plans, once the hydel project station is constructed and MW is decided it can’t be further upgraded, the only thing is to go for new projects in the upstream/ downstream. There are a total of 5 new projects in both the district on which we have already done the PFR (Pre-Feasibility Report). One among it is the Khaltsi hydel power which is a 90 MW project. It is already proposed and all effort is being done to get it approved by the Government. Once the government decides then it will be further investigated and make a concrete proposal which will be further submitted to the government and once it gets approved the construction process can be taken up. There is a power shortage in all over India so it becomes our responsibility to save and use it wisely. 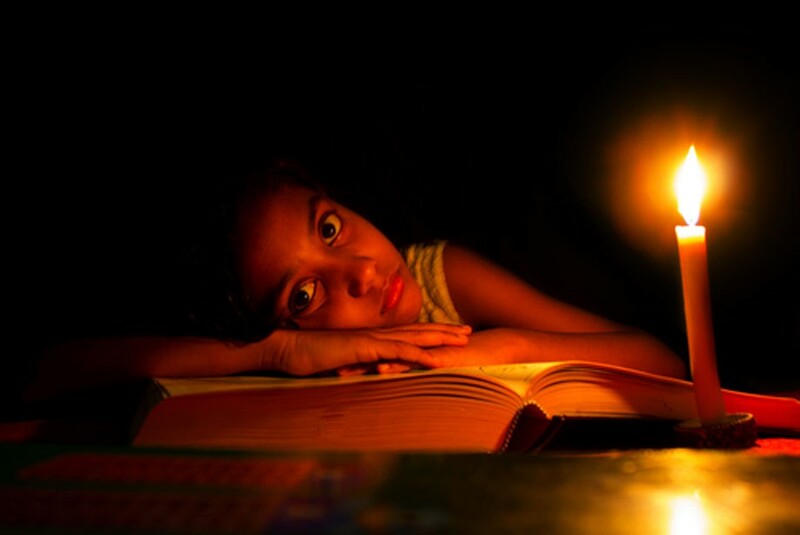 Avoid excessive use of electrical appliances especially in the winter season when power generation gets curtailed. G. Ahmad Mir: Superintendent Engineer, PDD: Power Development Department (PDD) of J&K is responsible for all functions related to the transmission and distribution of electric power in the state. The power for the major portion of Leh is covered by Nimoo-Bazgo Power Station and rest of the region like Changthang, Nubra and few areas of Khaltsi subdivision are covered by local small hydro generation and diesel generator sets. Power consumption in Leh is more in winters as compared to summers. In the peak summer season, the maximum power requirement is 13 MW and this winter we have a demand of 23 MW in evening time which is enormous as maximum population migrates to other states, hotels and many commercial setups are closed. People are mostly into using heaters, geysers, water boilers and many other electrical appliances which are not allowed. To make it legalized it is mandatory to sign an agreement between the department and the consumer. In the agreement, the consumer will declare the amount of power that will be consumed by the department and they can use the electrical appliances. But it won’t be acceptable if the consumer is using more than the declared unit of power. Depending on the magnitude of the power theft action will be taken against the culprit with imprisonment, fine or both. To check and control such illegal practices and to distribute power without any hurdles a checking squad is formed by the department who goes and inspects houses. Many people blame and spread rumours that the checking squad enters the houses and ransack their houses. This kind of information is spread by the people who are genuinely involved in power theft and the one who is caught red-handed. There is an acute power crisis faced during the winters because of the less water discharge and because of which curtailment of power is done during some hours. It becomes very important for each and everyone to understand and have some civic sense. People should cooperate with the department. Talking about the future plans, new things are underway, there are two new schemes which include Restructured Accelerated Power Development and Reforms Programme (R-APDRP) and Integrated Power Development Scheme (IPDS) for the urban area to reduce AT&C losses and strengthen the sub-transmission distribution network. Similarly, Deendayal Upadhyaya Grameen Jyoti Yojna (DDUGJY) and Prime Minister’s Development Package Rural (PMDP) for rural areas to electrify the un-electrified households, segregation of lines, additional feeders etc. the schemes are already approved but will be executed by central public sector undertakings (CPSU’s). The work will be started from this year and will take time for the completion. Also, the department is working in phases to replace all the dilapidated wooden poles which are a continuous process. Our priority is in the areas where there is a threat to life and property. Use the available resources judiciously. During the winter season, prefer using other heating systems other than electrical appliances to get an uninterrupted power supply. Public cooperation is very much important and necessary.